I mentioned a few days ago that I wanted to build a Planck keyboard and wanted to do a some practice soldering first. Personally, I think they're maybe putting a little too much faith into their product, but considering the entire kit set me back $15 (it's up to $17 now, but I wouldn't be surprised to see it drop more closer to Christmas) and included the (albeit inexpensive) iron, I'm actually pretty impressed with it. 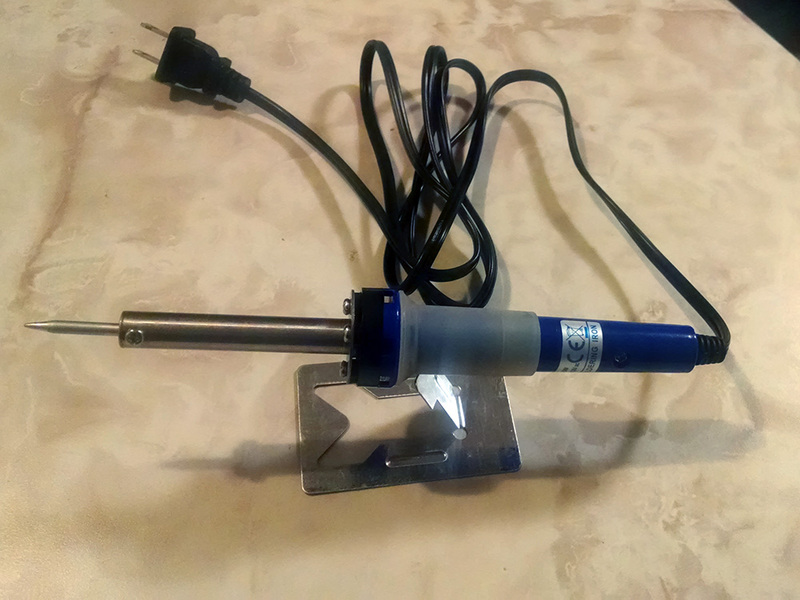 Here's the cheap iron - no temperature adjustment and it only comes with the pencil tip, but the tip can be changed. It would have been nice if they'd included a chisel tip, but for the price, I don't blame them. The stand is barely adequate, so be careful or that could be dangerous. This is my only complaint with the kit. Stil, it's better than nothing. 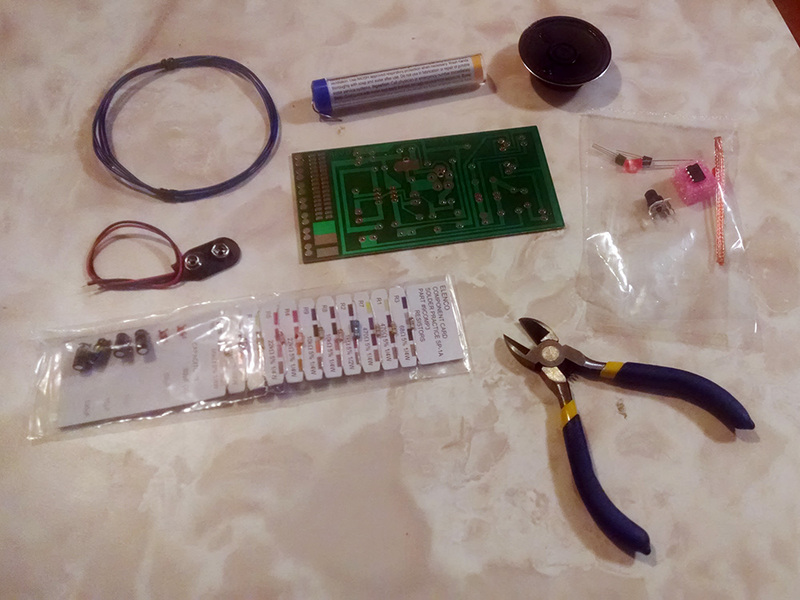 The kit comes with a printed circuit board and a number of components; resistors, capacitors, an IC, diodes (light emitting and otherwise), a volume knob, speaker, battery strap, etc. 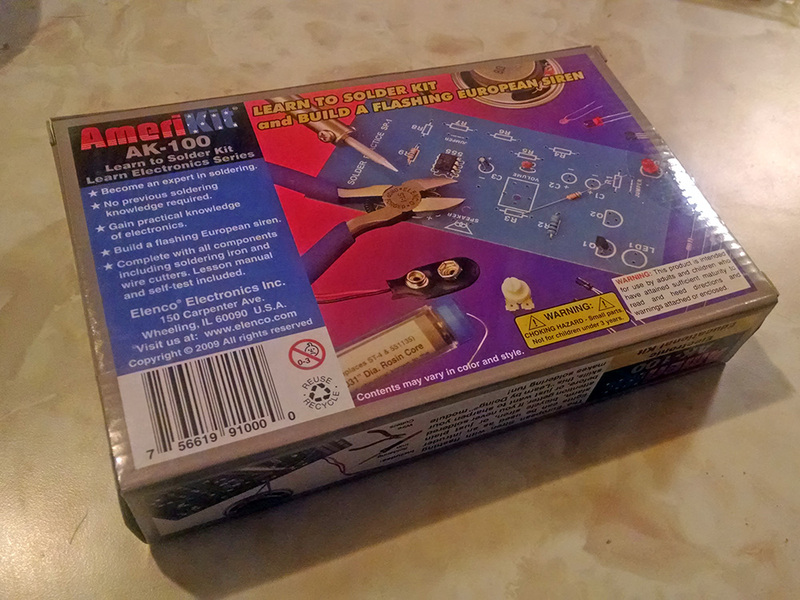 Also included is some wire, flux-core solder, about 4in of desoldering wick, and a simple, but surprisingly solid pair of wire cutters. 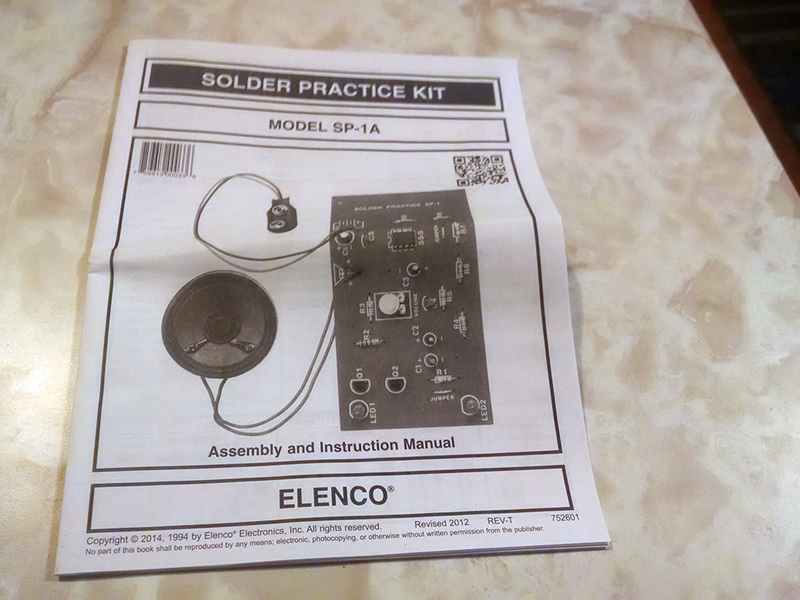 I was expecting a one or two page instruction sheet, but you actually get a fairly thick book that goes into not just how to solder, but how to identify the various electronic components, their uses, etc. 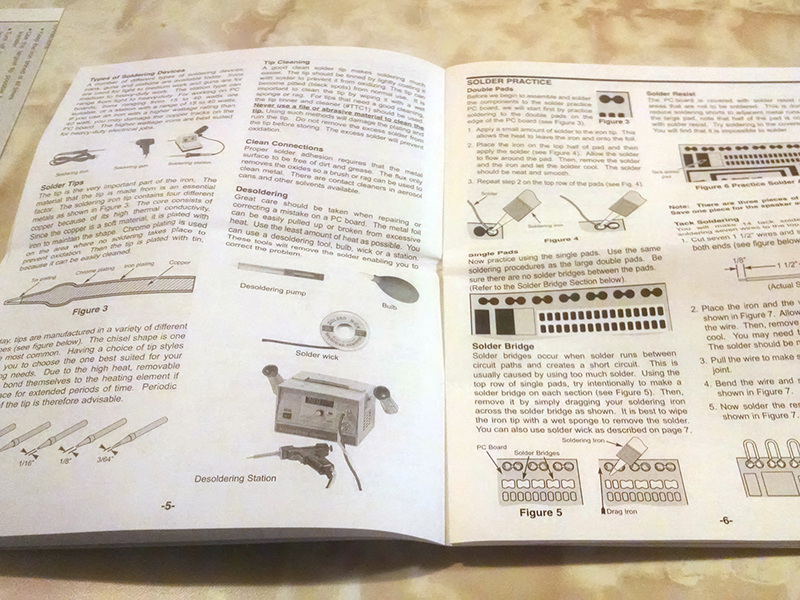 This kit may not make you an expert, but the included booklet could very well make you a really solid beginner. That's the bad news - the answer is "not great." I didn't do the whole project yet. I just started with the little practice area at the top. 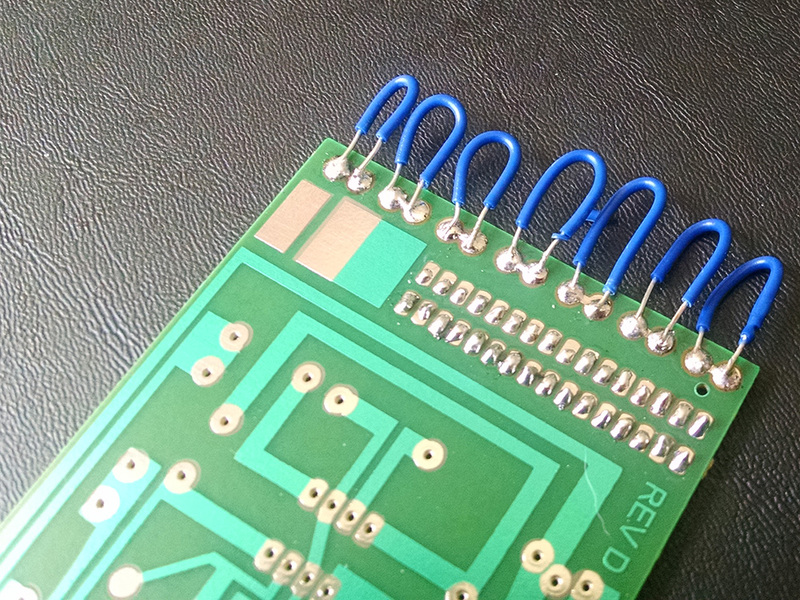 As you can see from the photo below, soldering the wires was were I struggled - lots of solder bridges there because I struggled with holding the wire, the solder, and the hot iron all in the right spots. It wasn't the size of the compoents that caused me problems. It was my lack of depth perception. So my bad eyesight is definitely a factor, but not in the way I anticipated. 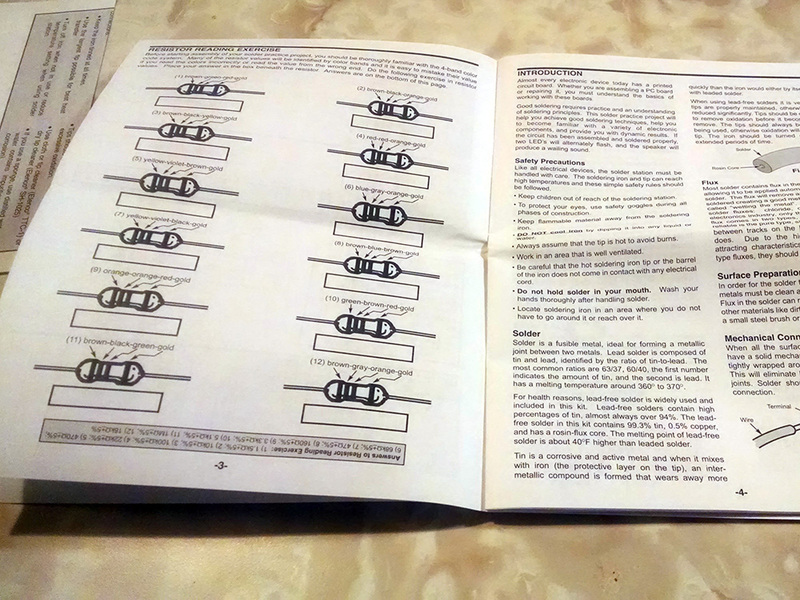 Things went better on the little practice pads, though - they're close together, but no solder bridges. Since the rest of the project, as well as the actual keyboard I want to build, is soldering components with pins and good physical connections through holes in the board, I'm hopeful that it will go a lot better than the tack joint mess at the top of the practice area. I won't have to hold pieces in place while I solder and they'll be solidly in place well enough without solder that I can pick the project up and move it around as needed to get things into the best position to see them. 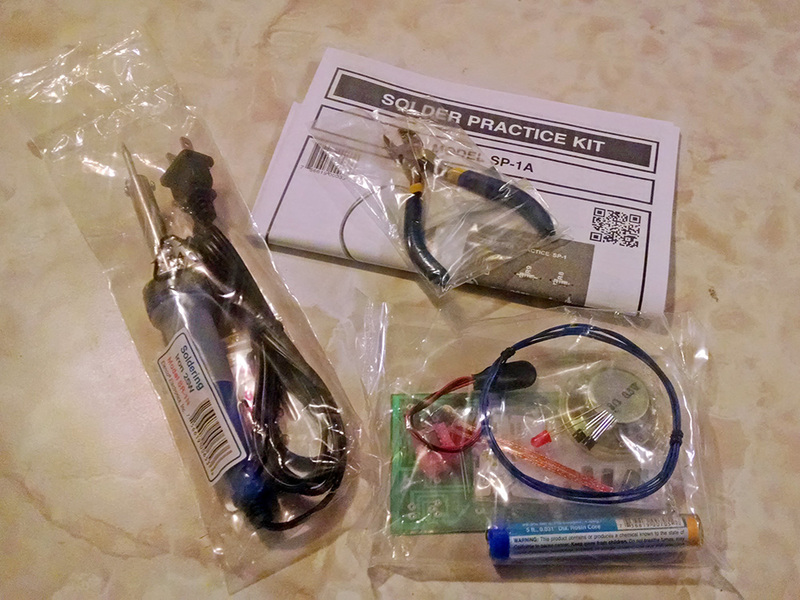 If the rest of this practice kit goes well, I'll go ahead and bite the bullet on the parts for the Planck. I'll probably do some more work on this tomorrow, so I should have another update in the not too distant future.